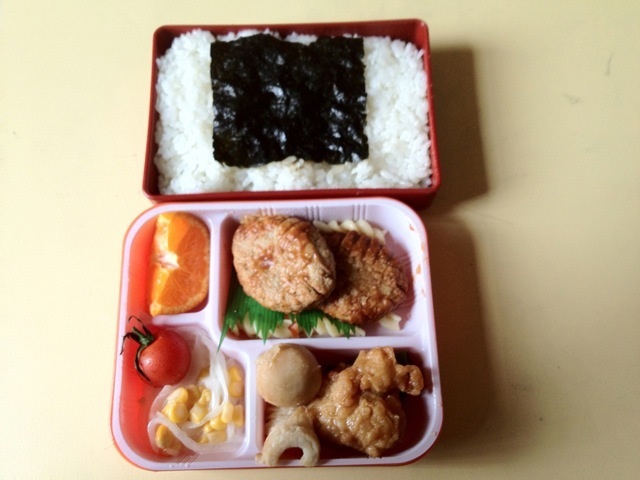 Contents: Rice w/nori (seaweed), hamburgers, fried chicken, the ball looking thing is boiled slimy potato, corn and radish salad and pasta under the hamburgers, and a tomato. I don't think that's a potato. That pile of things near the bottom are actually various fish cakes. Tomato? I think that's an orange.